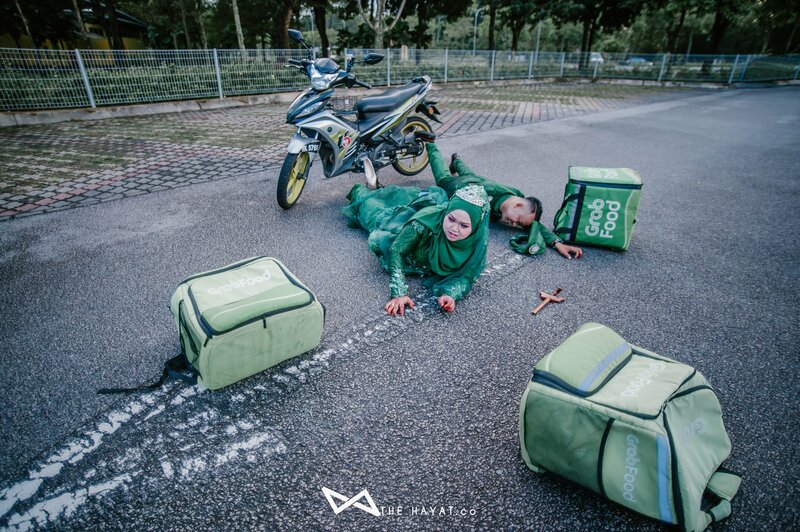 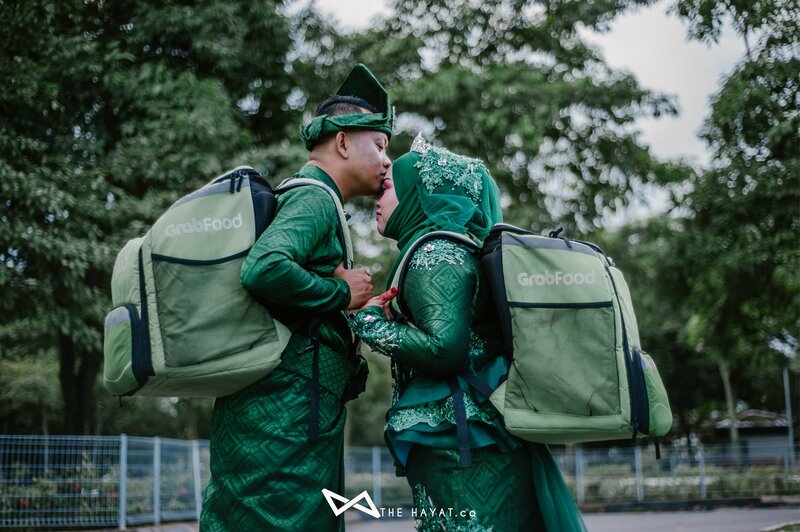 Nur Atiqah and Mohd Afandi met each other while working as part-time GrabFood riders in Malaysia. 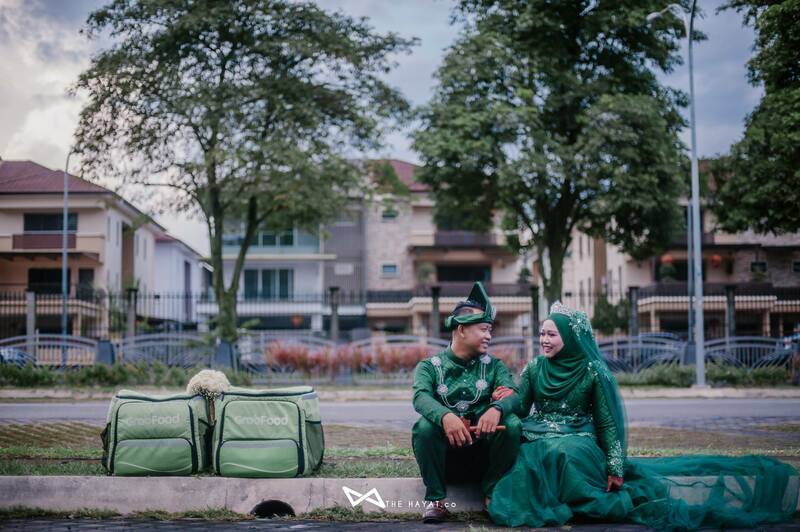 Little did they know that they would soon become soulmates. 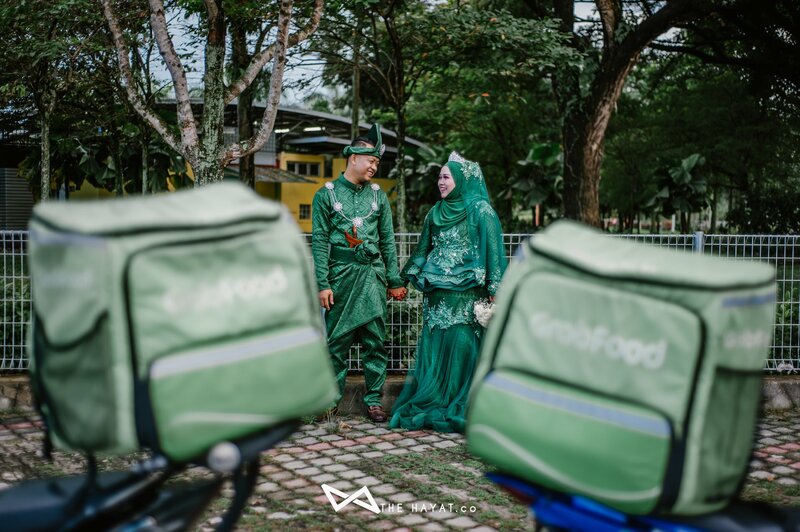 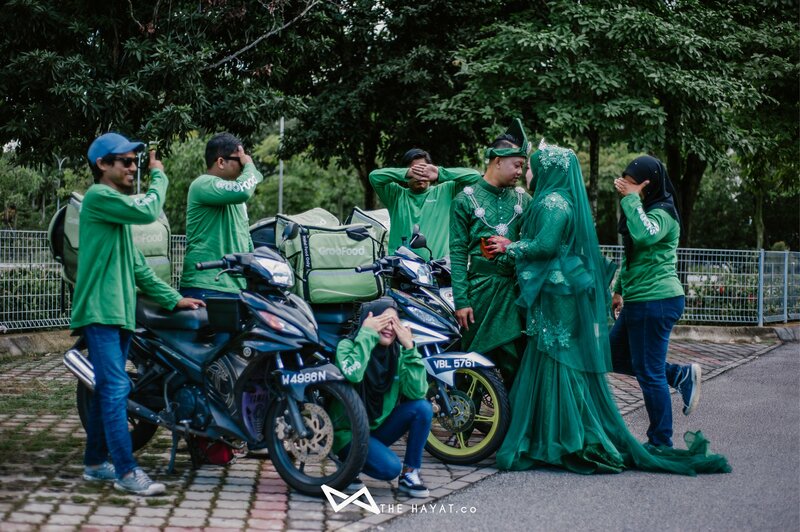 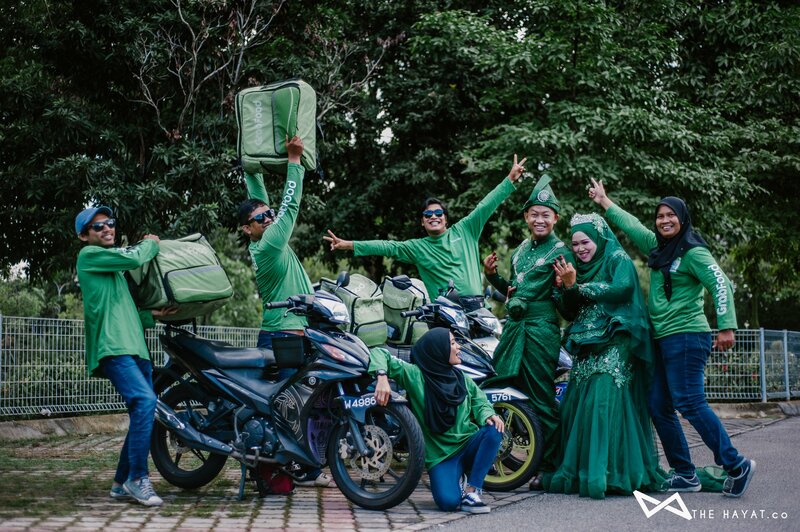 In a series of photographs posted on Facebook, the couple shared snapshots of their wedding reception, which was dedicated to the food delivery service that brought them together. 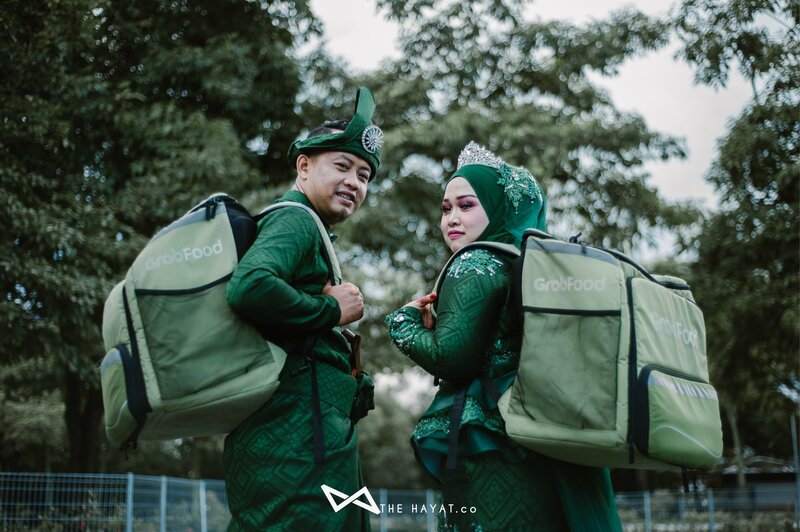 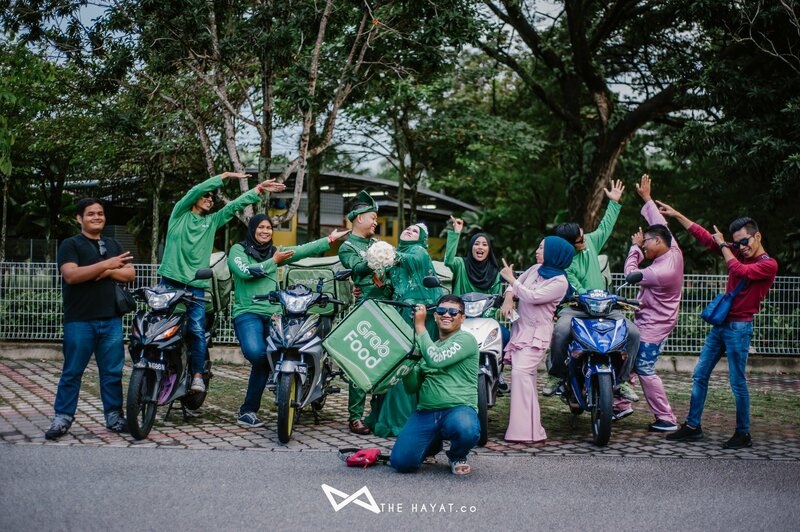 The couple's GrabFood-themed wedding reception – which took place on 22 December 2018 in Sentul, KL – was followed by a mini photoshoot that looks so flippin' cute! 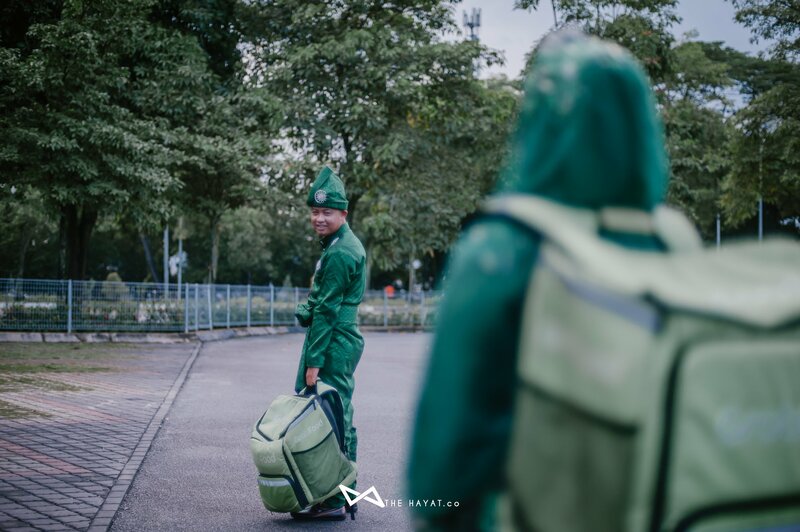 "In end-2018, my dreams came true. 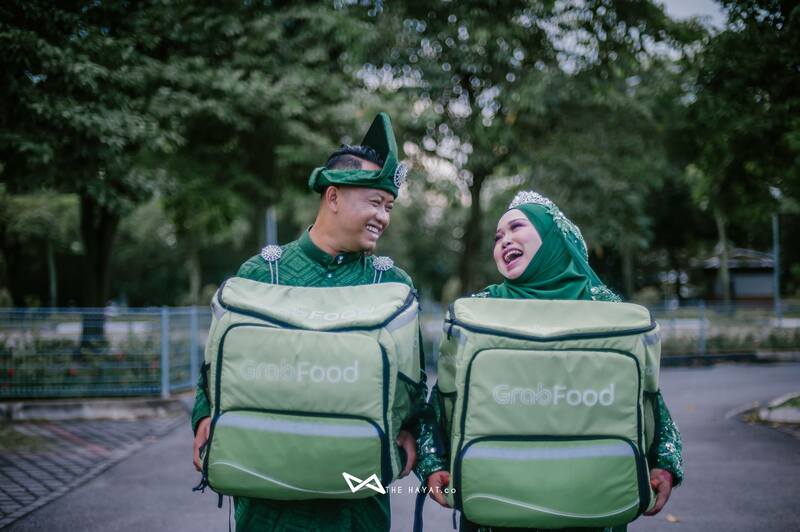 Through the tiredness, sunshine and rain, I got to meet my soulmate in the same workplace. 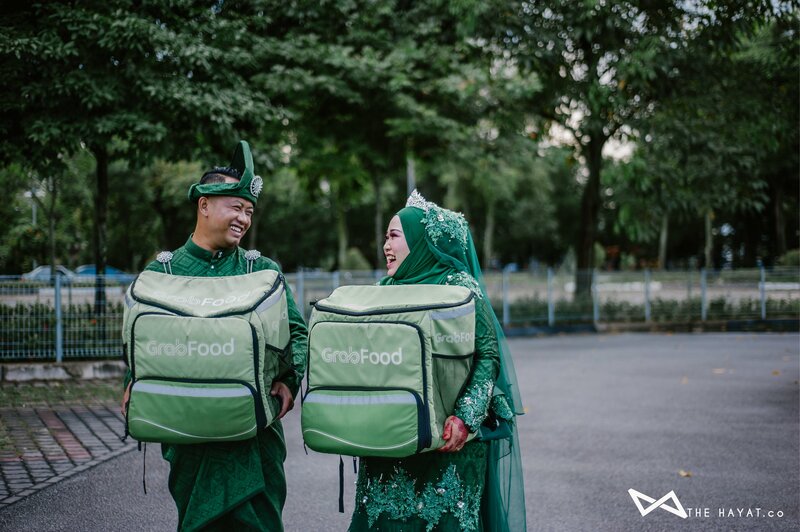 Even though GrabFood has its ups and downs, our love remained strong." 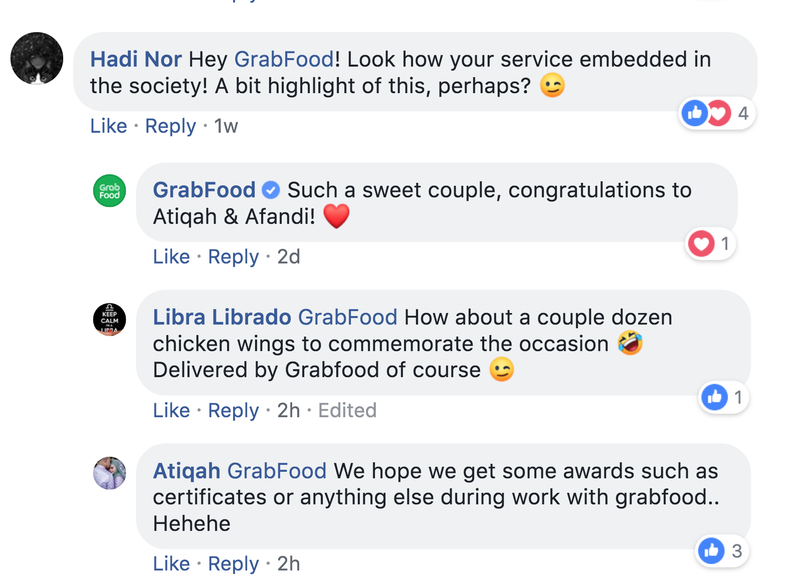 They also took photos with their fellow GrabFood colleagues because what is love without friendships?